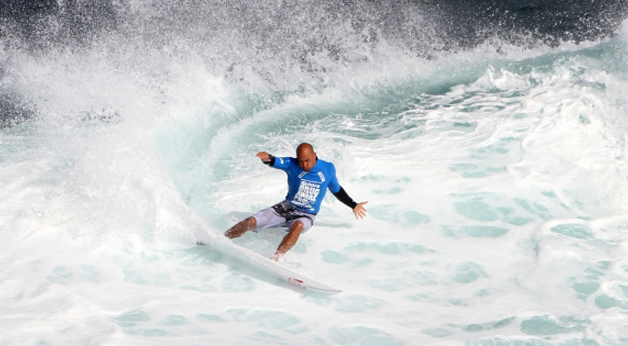 World surfing champion Kelly Slater is heading to Western Australia for the 2011 Telstra Drug Aware Pro Margaret River. Acting Premier and Tourism Minister Kim Hames said the State Government, through Eventscorp, and Surfing Western Australia had been instrumental in securing Slater’s appearance. 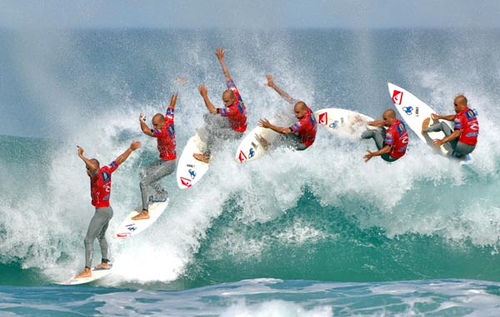 “Kelly Slater is recognised worldwide as the most successful surfing champion in the history of the sport, having secured 10 World Champion titles throughout his career,” Dr Hames said. Slater is showing no signs of slowing down, defeating WA’s Taj Burrow in yesterday’s final of the Quicksilver Pro on the Gold Coast, the first event of the 2011 tour. The Acting Premier said the news of Kelly Slater’s participation in the Telstra Drug Aware Pro Margaret River was very exciting for WA. “Kelly competed in the Margaret River Pro back in the early 1990s at the beginning of his career, so it’s great to have him back now that he is a legend of the sport,” he said. “With Slater’s entry, this year’s Telstra Drug Aware Pro boasts the strongest field in the event’s history, with 26 of the top 32 men’s surfers expected to compete. “To have a field of this calibre, headed by Kelly Slater, competing in the Telstra Drug Aware Pro is a major coup for this State. The Telstra Drug Aware Pro will feature other surfing stars such as two times world champion and last year’s number four Mick Fanning, number three Taj Burrow and number five Bede Durbidge. The women’s competition includes three of the world’s current top five – Tyler Wright, Laura Enever and Chelsea Hedges. “The 2011 event will be the biggest and the best ever, not only showcasing some of the world’s greatest surfers, but also the biggest prize pool of any surfing event ever held in WA,” Dr Hames said.